The beginning of the semester is quite the bittersweet moment for most college students. The high of seeing friends you felt incomplete without battles against the emotions about being away from home, the friends you’ll miss and the moments you’ll be too far to witness. To be too happy may seem like home didn’t fulfill what you needed. To be too gloomy, however, leaves family wondering whether you actually know what you want with yourself. For instance, we consider those who can’t wait to get back to school to be more self- motivated and academic oriented and the not-so-excited about school to be the opposite. Most students want to appear like the former. I know I do. College is a chance to occupy many different spaces, but some may never quite fully fit in one.To have known life in two different spaces, home and school in this case, means that there are aspects of your existence better expressed in one environment than the other.We are almost always split in the persons we act out in the different spaces. I, for one, find myself thinking of how fulfilling and wholesome certain events would have been had they been happening in Kenya with close friends and family. For my friend Faith Njahira, a graduate student at Syracuse University, it’s the idea of calling home to talk about certain things she thinks wouldn’t make as much sense to those around her, or the jokes only certain people would get. Ideally, no matter how solid the relationships in the host country are, rarely do they fully fill the gaps we want filled. We still seek the familiarity of home which allows us to be all these other aspects of who we are. But then, to be in college means that you’ve had to learn to occupy and at least thrive in other spaces like you would at home.You get to create new friendships, new support systems and social groups to share your life with. In some cases, you have somehow managed to craft yourself this other home away from home. School could be taxing in itself, but being back at home after a long absence means figuring out whether you still perfectly fit in the spaces you previously occupied. More often than not, you don’t. You’re practically hanging in the air, overlooking spaces you thought were yours but which are no longer vacant for you to slide into. In your absence, life moved on. Your best friends get new best friends. The friendship doesn’t fade into non-being; you’re just not friends like you were before. They grow into this different way of existing that doesn’t quite require your being there. Some friends grow even closer- distance does this to some relationships. Time is all it takes. For international students, this phenomenon is even more overpowering, especially so when the school environment is a far leap from the home environment. Going back home for breaks calls for a quick switch of perception and life. Even after spending a whole semester looking forward to being home, there was a part of me that was left right here at Syracuse. As an international student 11,945 kilometers from home, phone calls are my best shot at keeping in touch with those in Kenya. Phone calls are also crazy to organize considering the crazy time-zone difference. Countless are the times calls are made during rather weird hours for me or those in Kenya. Let’s not forget the struggle of having to put aside cravings for my Kenyan delicacies and having to make do with cheese in everything. I thought getting to Kenya would bring everything I was to life, but that was sadly not the case. I did not have my whole self with me. Certain aspects of my existence have become Syracuse-based and Syracuse-oriented and best expressed in Syracuse. Although I was in Kenya and at home, certain parts off me craved a different home. And the same fragmentation occurs in school — like there’s a tiny part of me that was left in my bedroom back in Kenya, another one that’s wondering in the streets of Nairobi and one that’s touring the game reserves in the Kenyan Savannah. It’s the price of international education and exposure. It is the fear most people dread — the fear of not ever being completely at home. Here is the thing. Although the school environment is perceived as temporary, it is interesting to see just how much changes permanently. As your supposedly temporary stay goes by, the lives of those in your native country keep moving. Families relocate, break-ups happen, kids are born and life moves on. To have idealized home and expect everything to be the same while you are away only heightens the feelings of being out of place at home. To be at ease with the many exposures you get, you need to build a home away from home. This would mean not restricting yourself to fitting only into one space, but allowing for multi-dimensional space occupancy. In my case, I have learnt to steadily pick out aspects of my Kenyan self that I see in my immediate school community. I have a group of friends for my innate need for a sense of close-knit community. Being outdoors has the power to rewind all my hiking, camping and mountain-climbing experiences in Kenya. An outdoors spirit is an outdoors spirit whether in Africa, Asia, America, Europe, Antarctica or Australia. So is love, hate, hard work, athleticism and anything human. Nothing human is alien to the humans around you. Whenever you long for home and the familiar scents of life, may you find a way to be at home in the new environment. Find your familiar, find your home, find your people. Your tribe is out there. 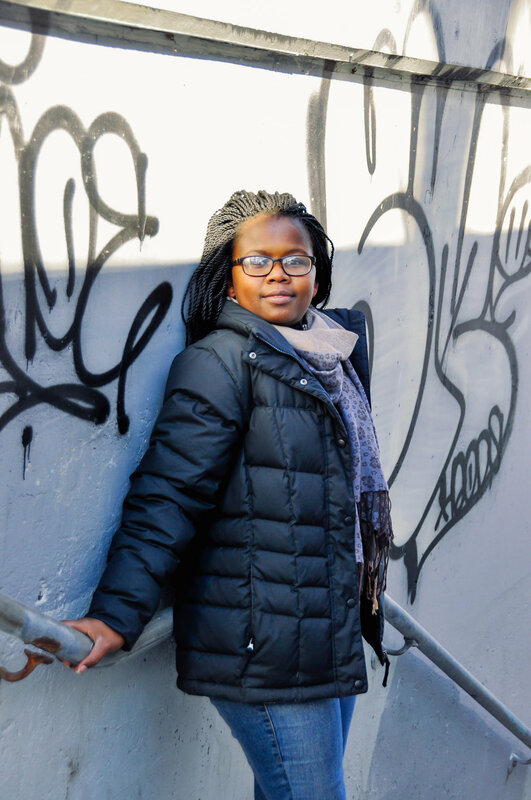 Pauline Gitau is a sophomore studying computer science at Syracuse University.